With options like no cost EMI, there is easy finance available for those seeking to buy a new laptop. You do not need to purchase on the basis of your credit card or fork out hefty down payments. Simply purchase your laptop on EMI with the help of pre-approved laptop loans provided by your EMI card. Let’s first look at some of the best options for your needs within all budgets. There are tons of options out there and you may well be a little confused with the sheer variety on offer while shopping online. Here’s taking a look at some of the best bets. You can always get your dream laptop on no cost EMI for greater savings and the options are plenty indeed! Acer has several good laptops available and if you’re looking for a capable workhorse under INR 35, 000, the Aspire E15 E5-573G is a good bet for sure. 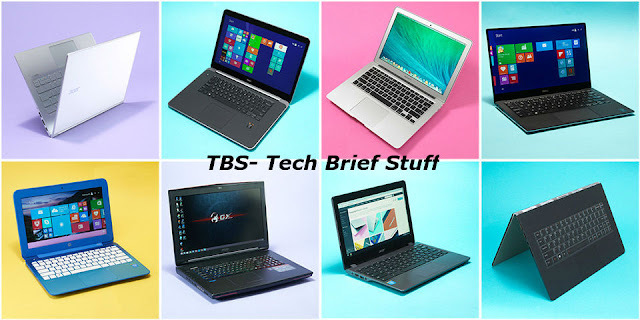 This 15 incher has a good display unit and a full keyboard along with 1 TB of storage, 4 GB of RAM, an Nvidia GeForce graphics card with 2 GB of dedicated memory, Windows 10 and more features. This is a value for money deal and with no cost EMI options, you save on interest costs too. If you wish to purchase a Lenovo laptop on EMI, the G50-30 makes for a great option under INR 30, 000. This gets a 2.16 GHz processor coupled with a 500 GB hard drive, 2 GB of RAM and a strong and sturdy design. In fact, the G series is something that Lenovo has got right at multiple price points and you will find something for your budget amongst the many models available. The G40-80 is another good option and gets a Core i3 processor along with 4 GB of RAM and a 1 TB hard disk in tandem with Windows 10 and Intel graphics. Buying this will be a breeze with no cost EMI options. If you wish to purchase a Dell laptop on EMI, check out the Inspiron range which is very popular in the Indian market. The Inspiron 15 3000 is something you can check out for its stylish black color and 15 inch display along with good features including a 720p HD webcam and excellent sound quality. With no cost EMI, you can easily get your favorite Dell laptop right away. Asus has always been a preferred choice for those preferring to purchase premium products with suitable laptop finance. Products like the A555LF-XO255D stand out for excellent features and performance in tandem with commensurate gaming abilities. The Transformer Book T100HA is another attractive option and is actually a hybrid notebook at a really competitive price. You can also consider other hybrids from companies like Acer such as the Acer Switch 10E which are priced even lower. Thinking of applying for a laptop loan? You can simply ditch your credit card and opt for an EMI card instead. This works as a pre-approved loan which you can use to purchase your dream laptop as per your convenient tenure. You can now avoid down payments and interest costs. This ensures that you repay only the price of the laptop and nothing else via easy installments. Buying your favorite laptop is definitely easier with a no cost EMI plan.